Grace E. Stratton, of Chesterfield, Missouri, has recently been recognized as a Strathmore’s Who’s Who Lifetime VIP Member for her outstanding contributions and achievements in field of Consulting. Grace E. Stratton is the Owner and President of GS Consulting. Ms. Stratton received a B.S. from Malone University, and an M.A. from the University of Northern Colorado. Ms. Malone has 30 years of teaching experience. She the author of a Guest Editorial entitled “Parents Can Aid in Child’s Reading Success,” published in the Loveland-Reporter Herald, she is the Editor of Writable, Readable, Eatable Fun Newsletter, and the Editor of Chatterbox, a compilation of student writing and artwork. Ms. Stratton is the recipient of the Award for Program Excellence from the Colorado Council IRA Convention and has been selected as a Valley Homemaker by the Loveland-Reporter Herald. 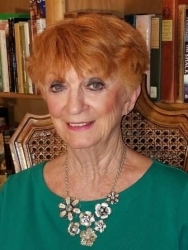 She is a volunteer with the Humane Society and Fox Theatre Broadway Shows and Concerts, is a member of the International Reading Association, and the Weld County International Reading Association. In her leisure time she enjoys golf and hiking.